After the erratic schedule of another long weekend at our most recent motorcycle event, I was craving down-home comfort food. But, I needed veggies, too, because I’d noshed only on Kashi GOLEAN Original cereal and a protein shake all day. Macaroni and Cheese, one of the most yum-o-licious meals out there, was on my mind, but I wasn’t sure how to make the boxed stuff I had in the pantry healthy. I decided to tweak the add-ins and mix it with those tasty Green Giant frozen veggies. The result was delish! It took no more than 10 minutes to whip up. Plus, the rosemary from the veggies and the hint of nuttiness from the almond milk gave the dish a gourment flavor. After mixing, allow the macaroni and cheese to sit while microwaving the frozen veggies in their packaging in a bowl for 4 1/2 minutes. Empty the veggies out of their packaging into the bowl. 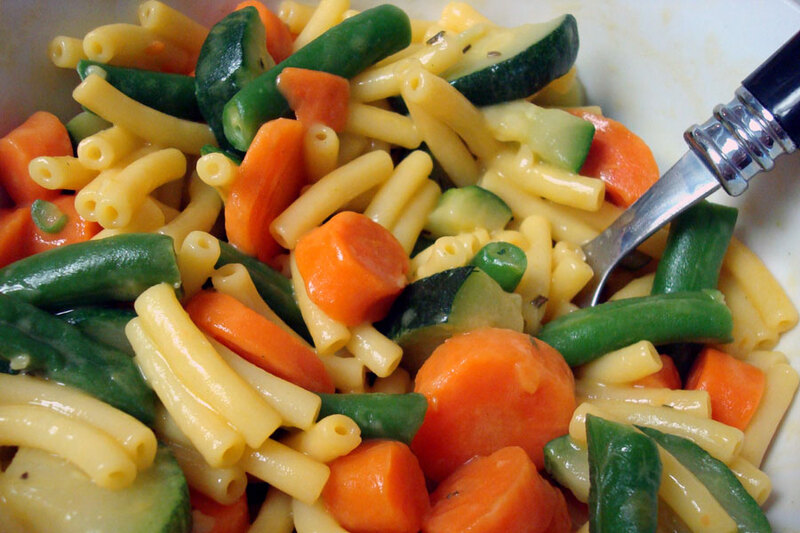 Mix 1 cup of macaroni and cheese with the veggies and serve.